Pretty glass scraps looking for a good home! glass pieces up for grabs! 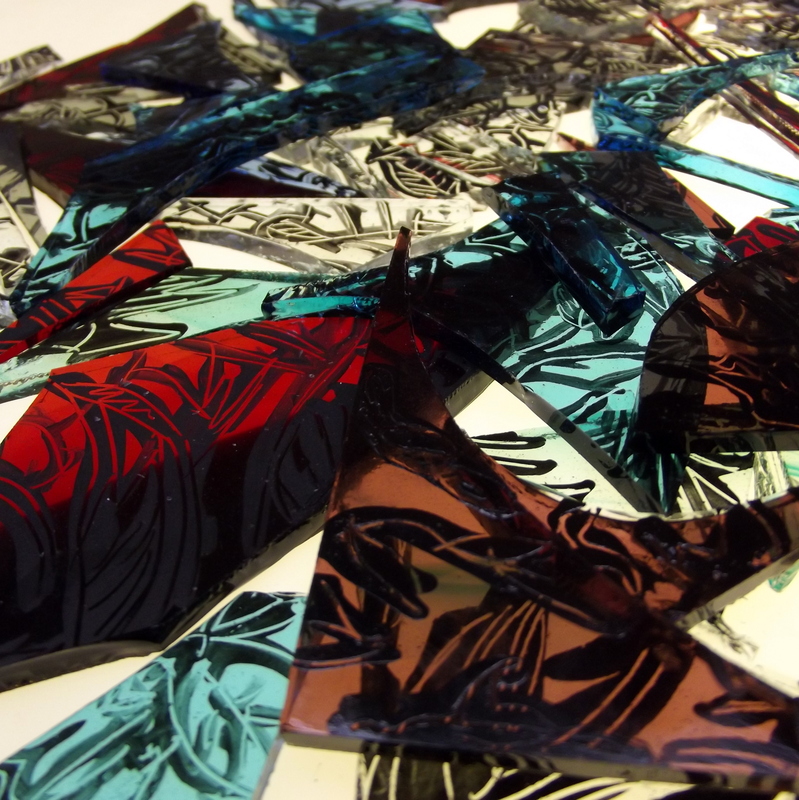 I have lots of pretty hand painted glass scraps up for grabs for anyone who might have a use for them! 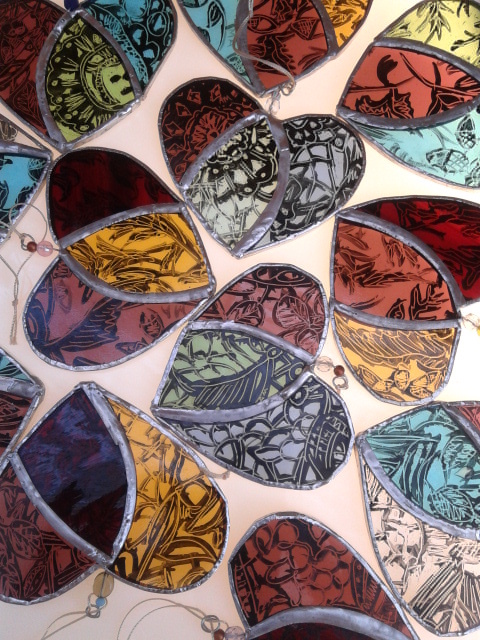 I just completed a large order of lace hearts, I paint off cuts of art glass with patterns based on Honiton lace, bond the paint permanently to the glass in the kiln and then cut out the heart shapes…..this leaves me with lots of pretty scraps. I have no need for these, but they are too pretty to throw away. SO if you have a good use for these (I am guessing this is one for mosaic artists) then they are yours for free! Just leave a comment to say what you would make with them (and obviously a contact address) and I will choose my fav idea and send them to the recipient, easy as that. Some of the pieces are very small, mostly they are around 2-3 cm in width, all uneven sizes and because they are glass they are sharp! I have about 1 kg, so it could make a good project!